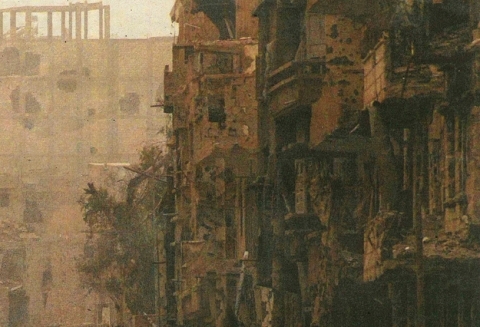 Ruins can emerge in a fraction of a second, as happening in the current civil armed conflict in Syria. After an attack many people flee the city which is gradually metamorphosing into a ghost town. The serenity of the new desolate quarters is in sharp contrast to the violence of the nearby blazing war.